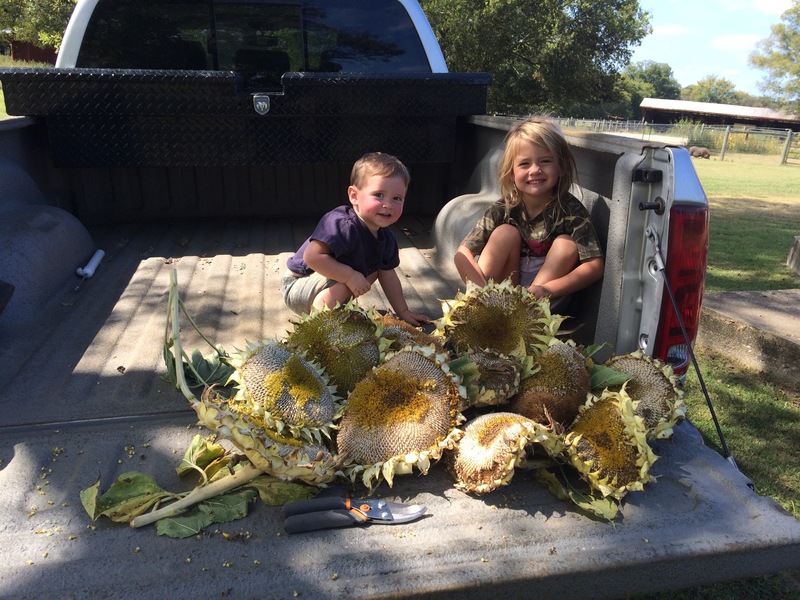 Sunflowers are the perfect garden experience for kids for several reasons. They grow fast, they grow big, they change a lot, they get giant flowers and you get to eat them! 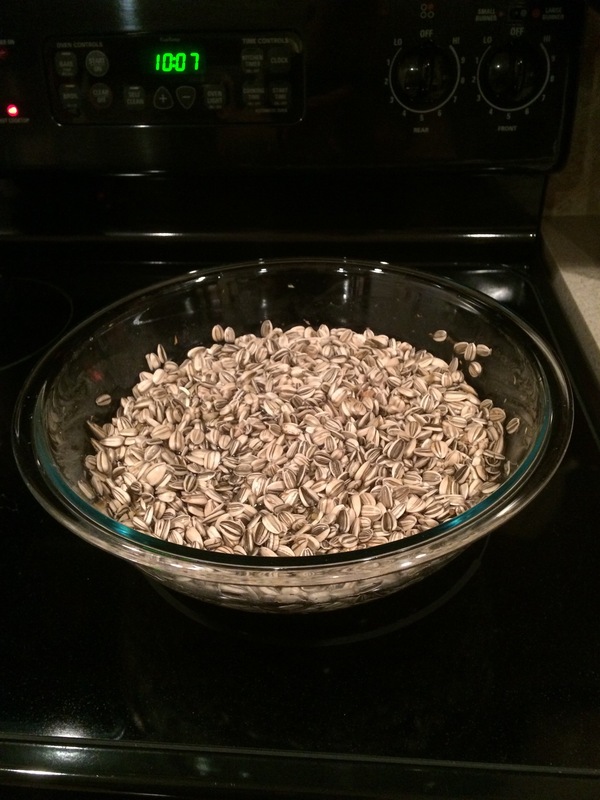 Plant the biggest sunflower seeds you can buy. 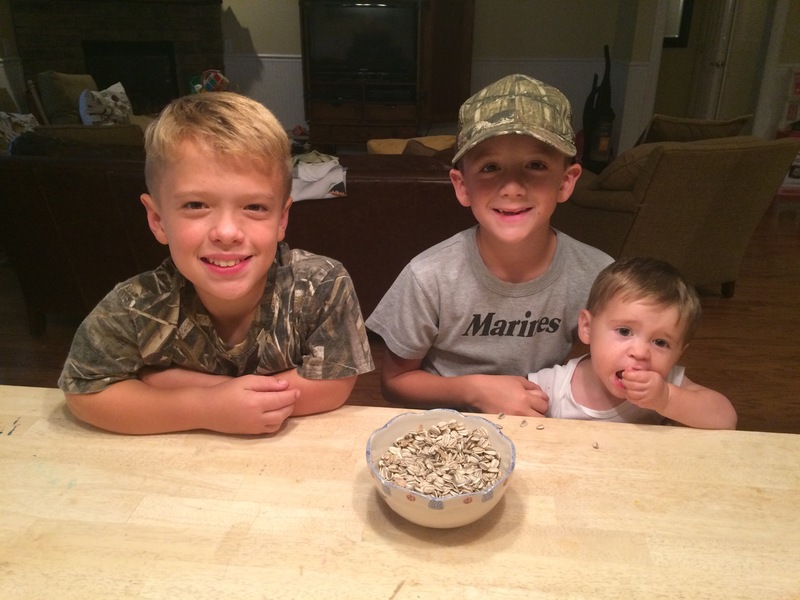 Bigger seeds are better for eating. Stay away from black seeds…they have a strange taste. 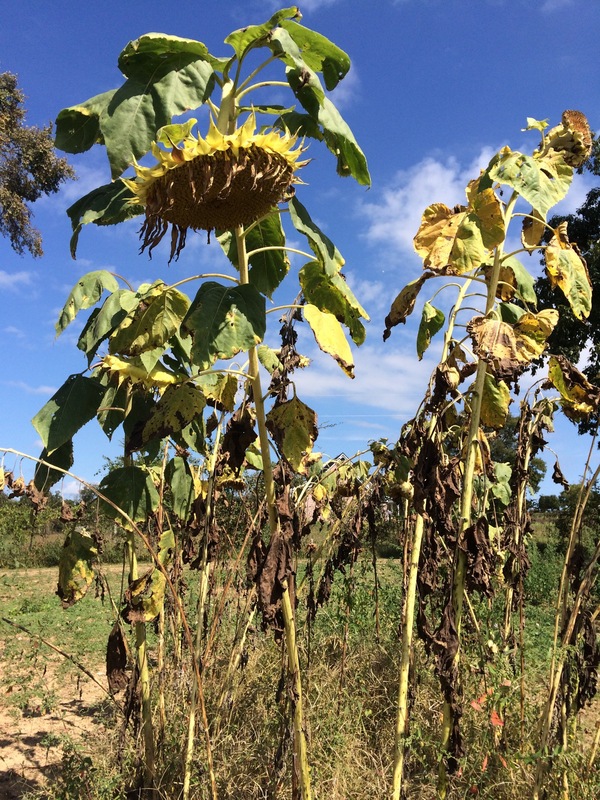 Once the flowers mature and begin to look dry, cut off the giant flowers. 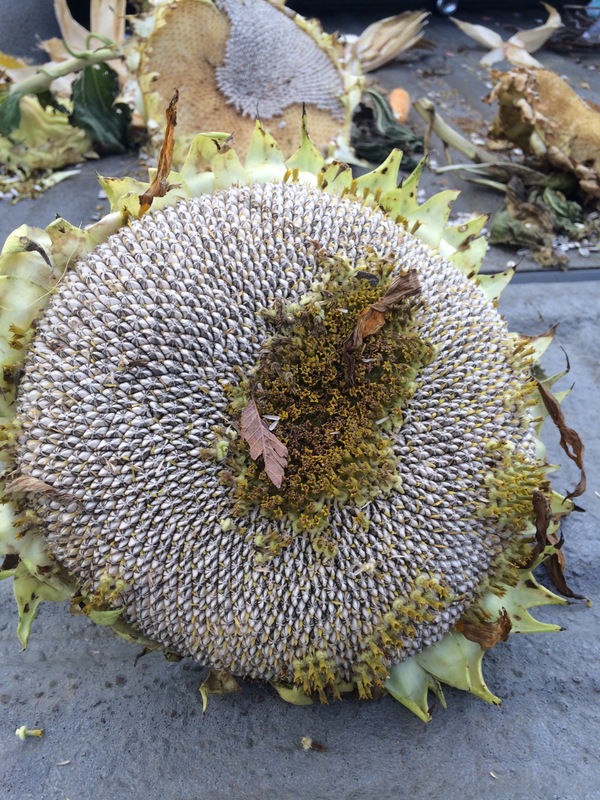 Let your kids wipe off the surface of the sunflower and they’ll discover all the seeds in the flower’s face. Any way you can, get the seeds out and put them aside. 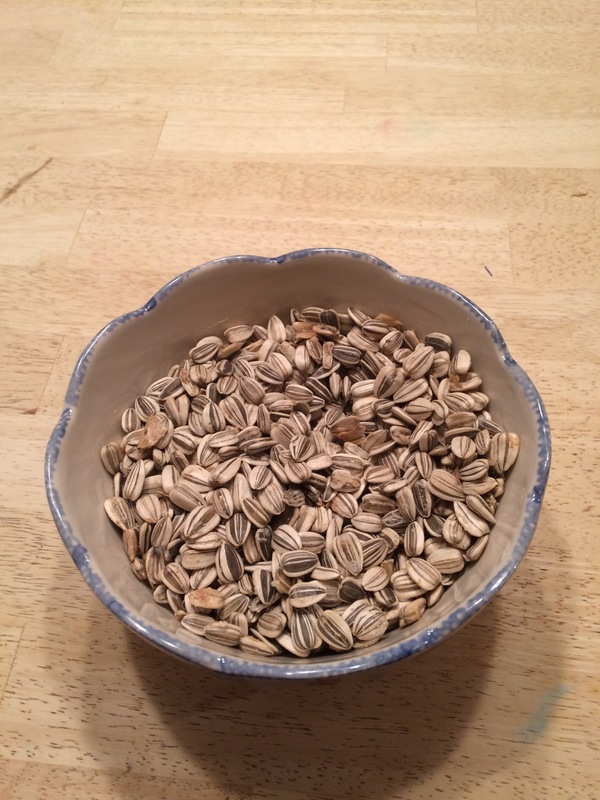 Soak the seeds for 12 hours or so in hot water and mix in a generous amount of salt. I used some left over Morton’s pickling salt. 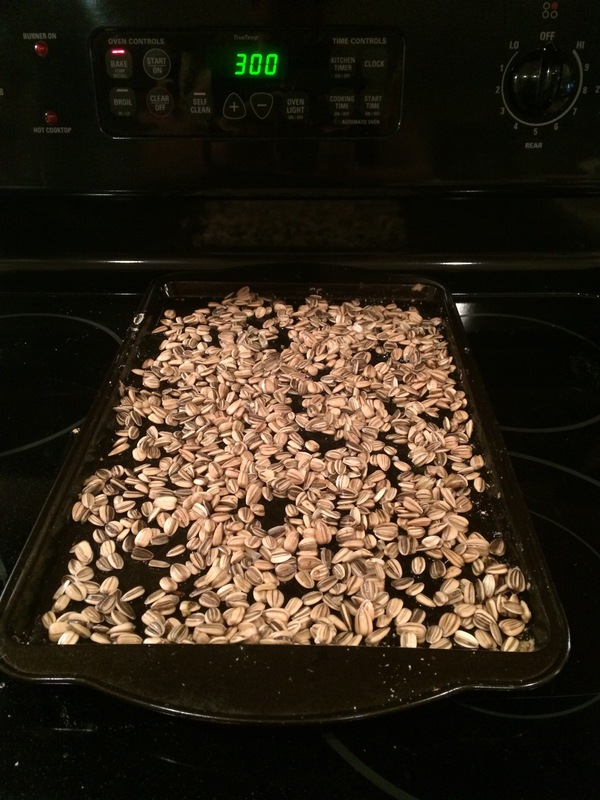 Spread the seeds out on a cookie sheet and bake them @ 300 degrees until they are dried out and crunchy. Turn them several times while baking. Mine took 45 minutes or so. Careful not to burn them…burnt seeds aren’t very good. Take them out of the oven and enjoy your warm fall treats. 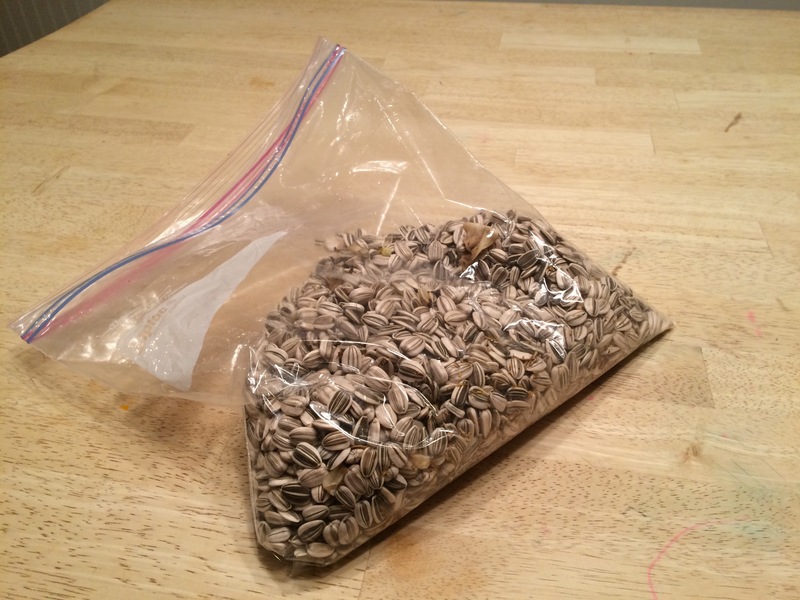 They are also fun gifts to share with neighbors who’ve never had fresh sunflower seeds!